Are you looking to revitalise your home with brand new interiors? If so, the talented experts here at Acorn Building Contracts can help. When looking for a painter and decorator, Winchester simply cannot go wrong by choosing us. Our professionals know just how to breathe new life into any home by updating the interior style to bring it into the 21st century. To find out more, call us now on 023 8024 3336. If you’ve ever sat and envisioned how your dream home might look but worried over how to bring this vision to life, it’s worth giving our team a call. You could spend hours browsing paint swatches and wallpaper samples. But unless you know exactly what you’re doing, the result will likely not live up to your expectations. 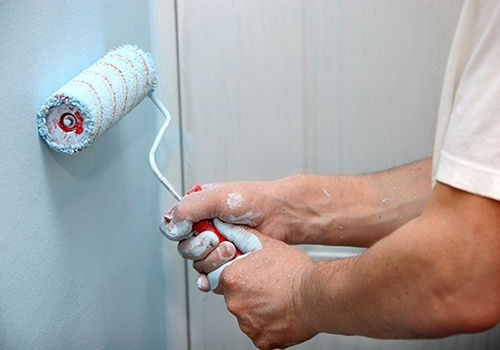 Enter the best painter and decorator Winchester can offer providing decorating and plastering services that are unmatched. Here at Acorn Building Contracts, we understand just how frustrating a failed project can be. What may seem like the cheaper option can quickly escalate in cost and end up dragging out for weeks, sometimes months. For a truly professional finish that will exceed your wildest expectations, you need to enlist our Winchester painter and decorator service. How Can Acorn Building Contracts be of Assistance? Call us today on 023 8024 3336, and we will begin with a friendly chat over the phone to help us determine precisely what it is you’re looking to achieve. Following on from this, you’ll receive a visit from our painter and decorator. Winchester clients can benefit from our fantastic consultation service which covers both design and material selection. Our team have a keen eye for detail and can suggest styles that will suit your home and will complement your existing décor. Once you’ve settled on a service that is right for you, you’ll be supplied with a no-obligation quotation. This lists all costs associated with hiring our painter and decorator in Winchester – so there are no hidden surprises to worry about. Prior to commencing work, our team will ensure that clean dust sheets protect the carpets and furniture. Where possible, we can even move furniture to protect it against damage. The tasks we complete are numerous and varied and include treating wooden floors and brush rolling or spraying a wide range of surfaces. As the most considerate painter and decorator Winchester can offer, we’ll always ensure that the area is left neat and tidy upon completion of any work. For wall coverings, we start by stripping off any existing wallpaper before making good the walls. Plastering is usually carried out in small areas to ensure a surface that is smooth and even. We can then hanging lining paper (for emulsion or cross lining for wallpaper), textured vinyl, silk paper and hand painted papers. For external finishes, we can also cater for requests that include rendering and Tyrolean finishes. Whatever your requirements, you can expect nothing short of an exceptional service from our talented painter and decorator Winchester specialists. First impressions count, and this is especially true for businesses. If clients are put off by the state of your offices, you could find yourself losing out on potential earnings. By enlisting our commercial decorating services, you can be confident of quality results. From intricate decorative effects such as specialist wallpapers to complete restorations; no job is too big or small for us to handle. We can provide both internal and external decorating services including masonry painting, rendering and woodwork. Better still, is that you can enlist our out-of-hours service which is perfect for minimising disruption to your daily operations. So, if you’re searching for a painter and decorator Winchester clients can trust, look no further than Acorn Building Contacts. 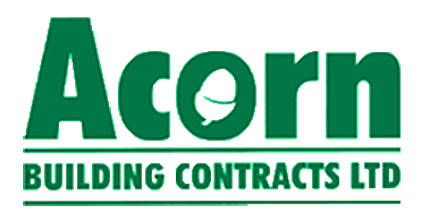 Why Choose Acorn Building Contracts? Here at Acorn Building Contracts, we are firmly committed to the goal of making your house a home. Your house is more than just bricks and mortar, and with our competitively priced painting and decorating services, you can adjust the style exactly as you see fit. Our lead painter and decorator in Winchester – Darren Cunliffe – has more than 25 years of experience making him the best choice for any renovation project. We take immense pride in our work and are driven to continually raise standards by giving 110% to every project we undertake. As a result of this sound work ethic, we are the most highly accredited painter and decorator Winchester has to offer. We come highly endorsed through Checkatrade and have received many glowing reviews over the years. As a company, we are also proud members of the National Federation of Builders and members of the ‘Buy with Confidence’ scheme. So when you’re looking for a Winchester painter and decorator you can trust to get the job done correctly, there is only one company you need to call – Acorn Building Contracts. Check out our gallery now to see what our team can do for you. Enlist the most trusted painter and decorator Winchester has seen by calling Acorn Building Contracts today on 023 8024 3336.